Eating cake has been a long-time family tradition. For as long as I can remember, there has been a cake for every birthday, every anniversary, and every party, event, or occasion. Our family ate cake wherever we went. The bigger the cake, the better it was. At one time, my grandmother even had a cake pan custom made as big as her oven! We were also lucky to have fancy, complicated, and elaborate cakes as often as we wanted, thanks to my sisters who were professional cake decorators. They have made some incredible creations, including my three-foot tall wedding cake. Some family traditions are so much a part of who I am that I can’t imagine life without them. I cannot wait to pass all of the anticipation, excitement, and joy that surround these traditions onto my own offspring. But what happens when one of my favourite family traditions, such as eating cake, also happens to be a health hazard for my son? With all of his food allergies and intolerances, eating regular cake was definitely out of the question. Giving up a favourite family custom was not an option either. So I created a whole new cake recipe that is wheat-free, gluten-free, grain-free, dairy-free, soy-free, nut-free, and sugar-free. It also contains no baking powder or artificial sweeteners, flavours, or colours. Although it has taken me a long time to perfect this recipe, my husband and son do not seem to mind. They just get to eat more cake. 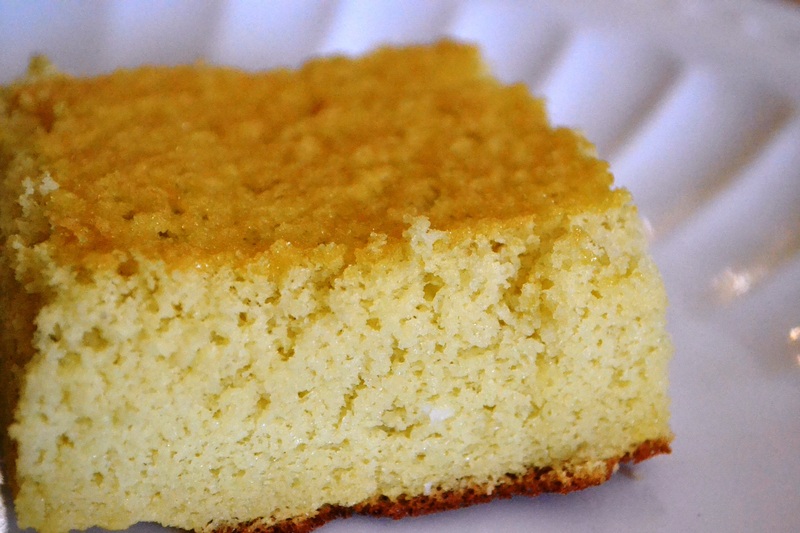 Made with only three simple ingredients, this cake is surprisingly delicious! Separate egg whites into a large bowl. Beat egg whites at a high speed until stiff peaks form. Blend egg yolks in with egg whites. Melt honey in saucepan until it is very thin and runny. Beat honey into eggs. Sprinkle coconut flour over egg and honey mixture a little at a time and slowly beat in. Pour cake batter into a 9×13 inch pan lined with parchment paper. Bake at 325 degrees for approximately 20 minutes until golden brown and an inserted wooden pick comes out clean. Allow cake to cool slightly before removing from pan. Serve warm or cold.